There is evidence to suggest the existence of potteries in the surrounding areas dating back to pre-Roman times. Indeed with villages in those days existing as self contained economic units it would seem very likely that a local pottery of some kind would have been at work producing the domestic requirements of the local population. In this chapter we will deal with the industry over the last two centuries commencing with the formation of what became known as the Ferrybridge Potteries. The first pottery built in Knottingley was established in 1793 by a partnership comprising of Timothy Smith, William Tomlinson and John Seaton. Timothy Smith was a coal proprietor and owner of the land, William Tomlinson was a grocer from Pontefract and John Seaton was a banker from the same town. They received permission to erect a flint mill on the north bank of the river Aire in January of that year. 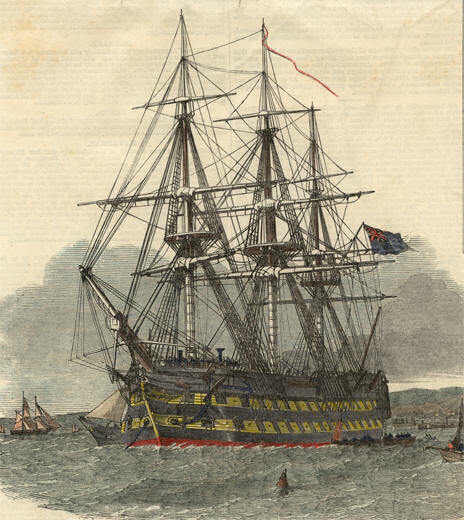 In May 1793 the men were joined in partnership by John Foster a Selby ship owner and John Thompson also from Selby. They purchased 30 acres of land on the south bank of the river Aire and erected buildings forming the Knottingley Pottery. The business was conducted under the name Tomlinson, Foster and Co. In June 1798 Ralph Wedgwood, the nephew of Josiah Wedgwood who had the reputation of being the father of the industry, joined the Knottingley partnership. The business was renamed Tomlinson, Foster, Wedgwood and Co. to capitalize on the fame that the Wedgwood name had gained within the industry up to that time. However, the partnership which was supposed to have lasted for ten years had to be dissolved some eighteen months later due to the financial strains on the company that were brought about by the inventive ideas that Ralph Wedgwood introduced. The original partnership was further weakened by the death of John Thompson shortly after the arrival of Ralph Wedgwood and also of Timothy Smith in 1803. A year later the company was dissolved. A new company was formed consisting of William Tomlinson, John and Thomas Foster, who were the sons of John Foster, one of the original partners and John Plowes the son of a Castleford pottery owner. The firm was established as Tomlinson, Plowes and Company and the name of the works was changed to Ferrybridge Pottery. Ferrybridge being a postal town of repute it seemed logical to associate the company with that name. Although the firm was a successful one it was continuously in financial crisis and over the next few years it would see the bankruptcy of John and Thomas Foster and the departure of John Plowes who severed his connection with the firm. Gradually, William Tomlinson acquired the company shares until he eventually became the sole owner of the pottery. The opening of the Knottingley-Goole canal in 1826 brought a much-needed boost to the trade of the company, giving it access to china clay from Cornwall and other essential raw materials. But despite the assistance from his son Edward the business declined until in 1828 it was advertised for sale. William Tomlinson died in 1833 at the age of eighty-seven taking with him the individual artistry, which characterized Ferrybridge Pottery. Over the coming years it appears that Edward Tomlinson retained the ownership of the premises, which were leased out to several partnerships. In 1851 Mr. Lewis Woolf, a London china merchant leased the pottery for a period of five years and upon expiration of the lease he took the opportunity to purchase the works. In 1926 the tenancy changed hands yet again and this time it was acquired by Sefton and Brown who commenced production of domestic ware. Since 1985 the pottery has traded as Cauldon Potteries Limited, producing a variety of practical kitchenware and pet bowl products. Shortly after his purchase of the Ferrybridge pottery, Mr. Lewis Woolf built a new, large pottery on land adjoining the existing works and this became known as the 'Australian Pottery'. Business was conducted in the name of Lewis Woolf and Sons and the whole complex became known as the 'Ferrybridge and Australian Potteries'. It was a time of industrial expansion created by a reduction in canal charges as a direct result of competition from the newly introduced railways. The removal of intercontinental trade barriers gave access to new markets and a swifter dispatch of raw materials and finished products. The Australian Pottery was devoted to the production of goods for the Australian market. During the ownership of the pottery by Mr. Woolf, it appears to have been run by a series of managers. This was probably dictated by the fact that Mr. Woolf was the Liberal Member of Parliament for Pontefract between 1880 and 1885 and would have been required to spend some time in London during that period. In 1883 the Woolf's encountered a major financial setback, which forced them to sever their connections with the pottery trade. They came to a verbal agreement that the partnership of Joseph, William and John Henry Horne, who became the next occupiers of the pottery, should buy the works although the purchase was not completed until 1899. Horne Bros. continued production at the pottery until 1920 when the site was purchased by the Co-operative Wholesale Society Ltd. who later resold the site to T. H. Newsome and Co. Ltd. who deal with the refining of crude oil, a business that continues there to this day.